I’m not really a fan of proximity keys, or keyless-entry non-keys, or smart keys, or whatever you want to call the things that aren’t exactly keys anymore but are used to open and start your car without having to be in actual contact with the car. Still, I don’t think I realized how bad they could be. A report in the New York Times has found that the keys may be partially responsible for the deaths of dozens of people because of their unintuitive design. 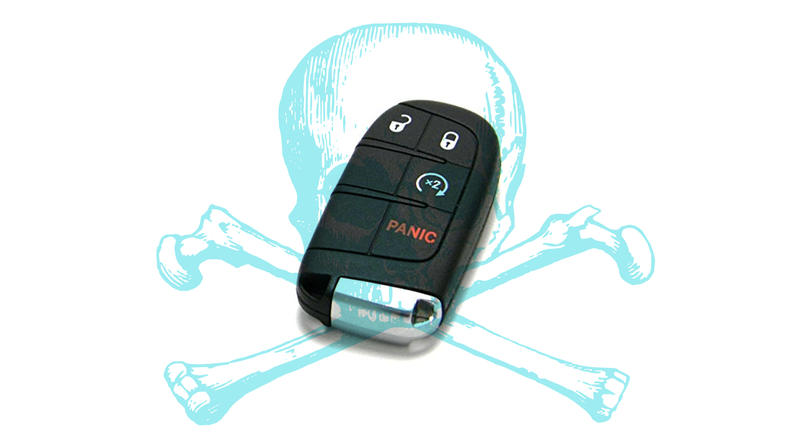 The basic problem is this: People (at least 28 killed since 2006, along with at least 45 injured) have died because, due to confusion about how proximity keys work, they’ve unwittingly left a car running in a garage, filling their homes with carbon monoxide gas, killing them. The fact that most modern cars run remarkably quietly is thought to be a factor as well, since there’s less obvious clues that a car is running than has been the case in the past. The Society for Automotive Engineers (SAE) acknowledged the issue in 2011, calling for automakers to provide “externally audible or visual alert” if the car is left running, the doors are all closed, and the key is absent from the car. Some carmakers have made changes to help the situation, with GM installing an automatic shutoff system on their cars after a 2015 recall, and Ford has had a system since 2013 where the car will turn off after 30 minutes if the key is not present. For whatever reasons, Toyota (including Lexus) cars account for about half of the carbon monoxide/proximity key-related injuries and fatalities, according to the Times. Victims also skewed a bit older, and the popularity of Lexuses among older demographics could be a relationship there. To many people used to smart keys, this may not seem like a big issue. But if you have decades of driving experience with physical keys and loud cars, it’s by no means intuitive to be able to tell how and if a modern car is turned off. Proximity keys give some convenience but introduce a host of issues that are not intuitive, and, in some cases, are just confusing. With numerable instances of this confusion leading to people actually dying, maybe it is time to take a long, serious look at how carmakers are implementing these systems.